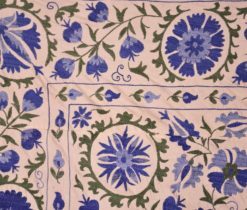 Suzani – is a decorative cotton or silk fabric of rectangular shape, embroidered with various patterns. 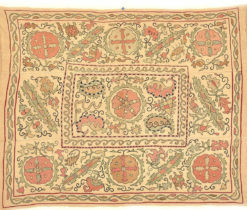 The finished woven product has approximate dimensions from 3x2 m to 5x4 m and is called a panel. 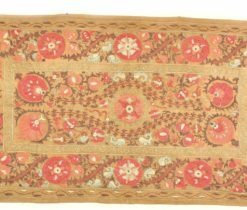 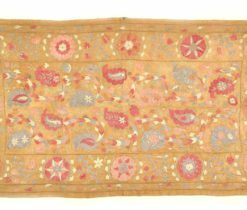 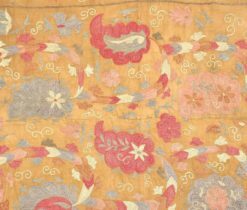 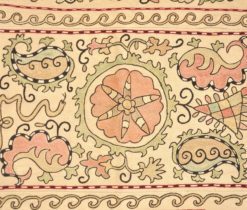 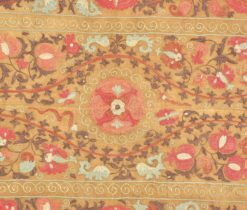 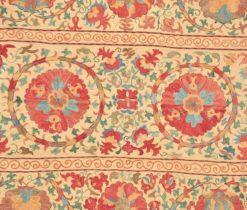 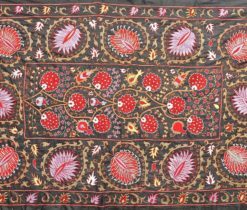 Central Asian decorative embroidery on the panel was done with the help of smooth surface, mostly with silk and cotton threads on cotton fabric, velvet or silk fabric. 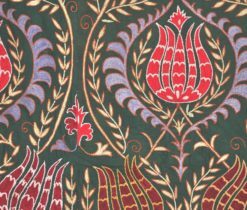 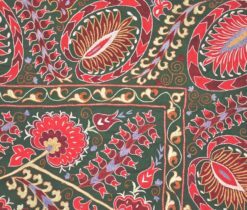 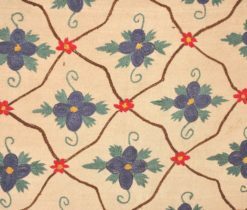 Suzani fabric is included in the Ikat fabric series as it, along with other kinds of oriental fabrics, has a special place in the eastern culture of embroidery and sewing. 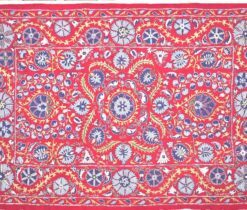 We will be happy to introduce you original suzani, which you can present as a gift or decorate your home with it. 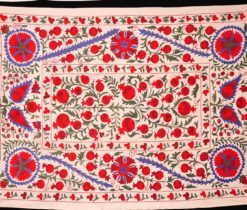 Embroidered panel named suzani fabric is so beautiful so that it is impossible to take our eyes off it. 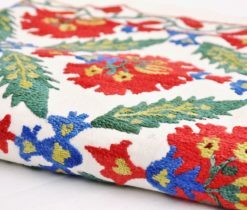 Each handmade embroidery is original and good in its own way. 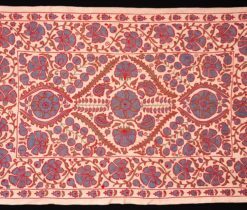 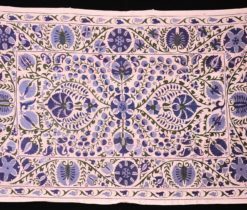 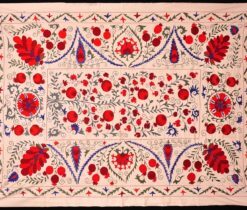 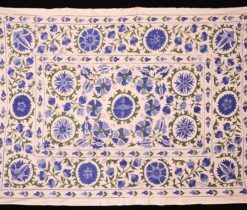 The pattern in suzani looks mostly as a closed composition with a wide border and a central field in which there is either one large drawing or several small but symmetrically arranged ornaments. 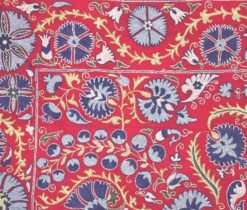 In each local city, oriental embroidery has its own characteristics, for example, the colors and patterns of Bukhara's products differ from Samarkand or Fergana, and the uniqueness of suzani is precisely in the variety of patterns and their combinations. 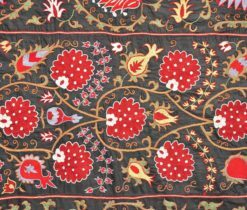 Uzbek suzani is a mighty branch on the tree of folk art. 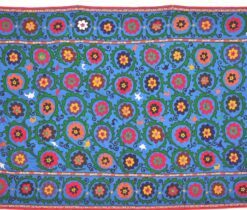 In the art of Uzbek embroidery, the main role is played by color. 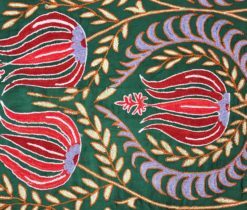 Most of the works affect viewers by developing details on large, completely embroidered ornamental figures. 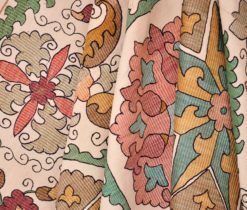 In each individual work you can count up to fifteen tones, which makes it possible to create a wealth of color combinations, while preserving the unity of the overall color. 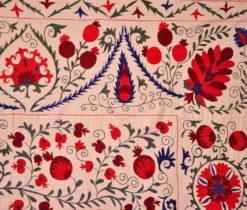 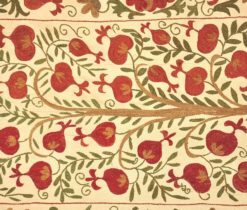 Decorating clothes and homes with hand embroidery has centuries-old traditions. 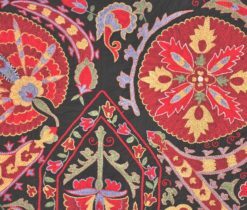 The East itself is many-sided, as embroideries created by skilled craftsmen. 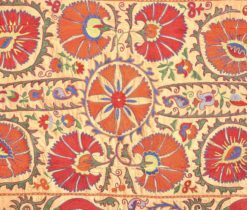 Suzani is widely used as upholstery for furniture or wall decoration of the interior in the form of draperies, hoodies and curtains. 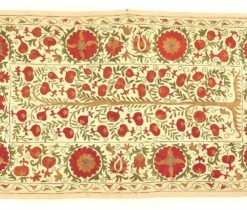 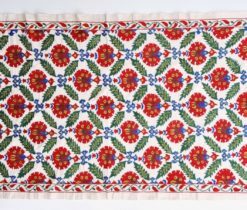 And also in our online store you will find Vintage suzani fabric, the threads of which are painted by hand and they represent one of the first styles of embroidery suzani. 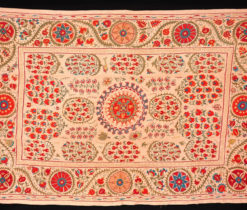 Suzani, except for its decorative significance, served as amulets. 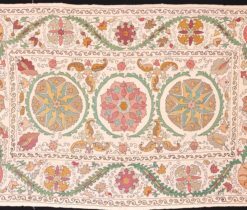 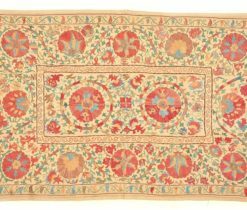 It was believed that suzani served as the beginning of a happy family life, and therefore special attention was paid to the ornament of embroidered products. 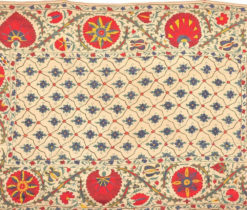 Turkish suzani is also known for its uniqueness, which is based on the traditional oriental suzani. 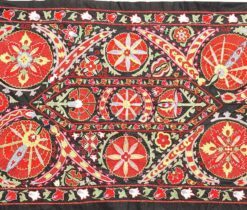 Being in Turkey you can find shops with suzani embroidered panels, pillows and carpets of several kinds. 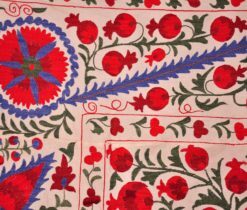 This kind of suzani not much differs from uzbek ones, perhaps only by patterns and a variety of threads. 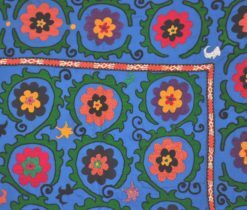 Turkish suzani can be seen in the cafe and in the open sale on the streets of the city. 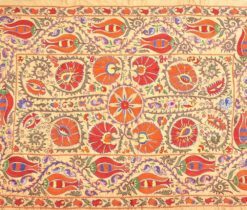 In our online-shop you can buy Turkish suzani without living your home. 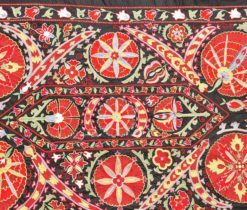 Introducing our stunning range of Suzani embroidery, hand-made in the traditions passed down through generations of Uzbek and Tajikistan artistry. 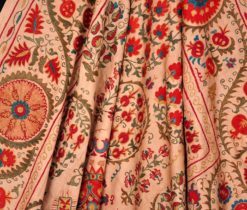 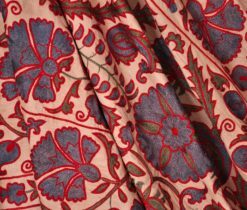 The beautiful silk thread fabrics are embroidered onto a heavy cotton background to create intricate and colourful patterned items that will add a touch of central Asian charm to your home. 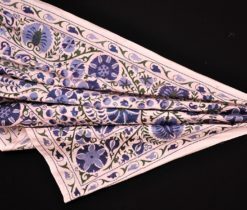 Each one offering a sense of delicacy while robust enough to provide long-lasting appeal for your home. 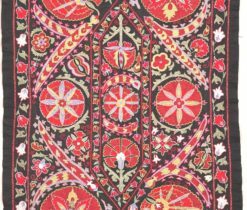 By purchasing a piece of Suzani embroidery you are sampling traditional Uzbek culture and craft, each piece laced with a sense of history within its delightful design. 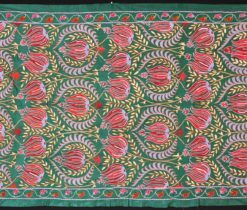 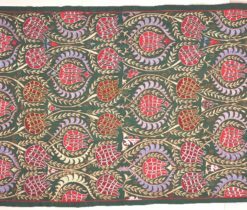 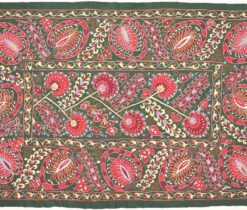 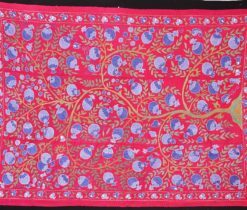 Suzani embroidery was traditionally presented as gifts to mark a new-born baby or as a dowry in Central Asian family culture. 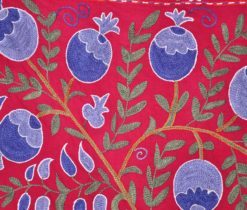 And it is this sense of care which permeates through each strand of these delightful hand-made textiles.